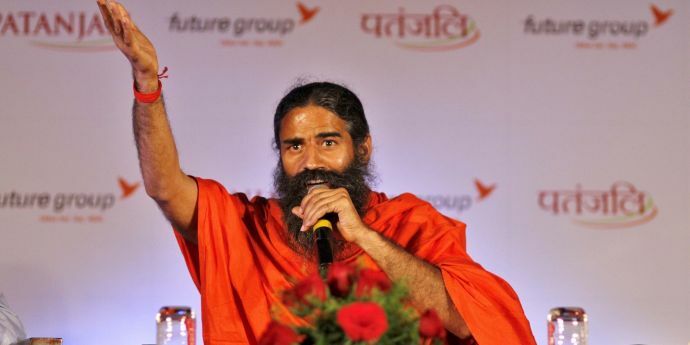 Ramdev Baba's Patanjali has become the third-largest fast moving consumer goods firm in the country. The FMCG sector in India was always dominated by multinational companies and it seemed impossible to make a dent into their market share for a newcomer. 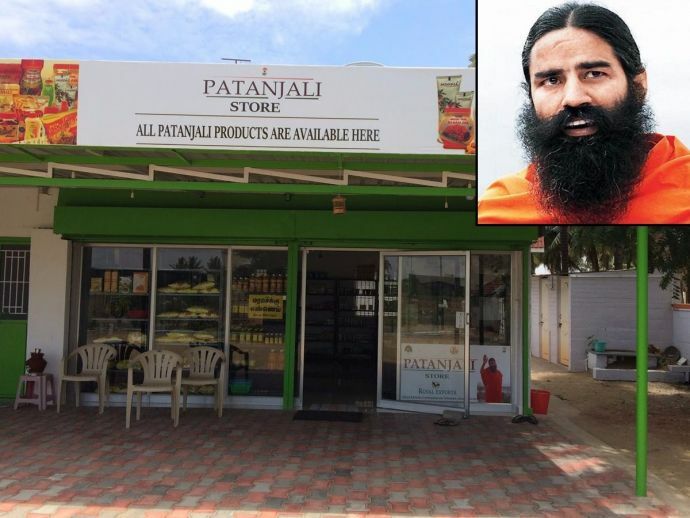 On this scene arrived yoga guru Ramdev Baba with his own products through his retail chain, Patanjali. Today, Patanjali is everywhere- from local stores to e-shops like Amazon, the firm is sweeping everything in its path. Recently, a popular international magazine, known for its insightful commentary on the business world - The Economist took note of the phenomenal rise of Baba Ramdev and his Patanjali business. This achievement is the result of a unique marketing strategy combined with smart advertising. 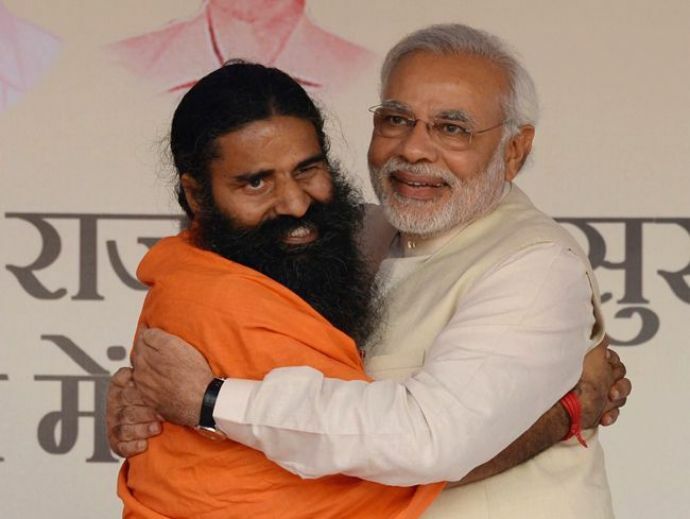 Flourishing at a rapid speed, Baba Ramdev’s Patanjali has become the third-largest fast moving consumer goods (FMCG) firm in the country, surpassing brands like Dabur, Hindustan Unilever, Vicco, Britannia, P&G, Godrej and Nestle. But, what all the educated marketers may have overlooked, might have been the emergence of a phenomenon called Patanjali. The Economist notes that this achievement is the result of a unique marketing strategy combined with smart advertising at lower budget (2-3% of revenue) as compared to their competitors. Multinational companies such as Nestle, P&G spend heavily on advertising their dozens of sub-brands. On the other hand, Patanjali flourished by word of mouth and sells everything from packaged food like cornflakes and noodles to household products such as detergents and soaps to personal care like hair oil and facial cream under its own name. Promotion of Patanjali products is done directly by Baba Ramdev. There was a famous joke on the Internet - multinational companies need half naked ladies to promote their products and Patanjali needs a half naked man to promote theirs. No doubt Baba Ramdev is a genius of marketing. Already established firms outsource their manufacturing and sell through shops owned by third parties. Patanjali has its own plants and has built a network of thousands of exclusive, franchised stores across the entire country. Its headquarters which are situated in Haridwar in the foothills of Himalayas, are not located in a place a business consultant would suggest. The Economist suggests that the rise of Patanjali coincides with the arrival in office of Prime Minister Narendra Modi. Opposition politicians have made a fuss that the company has enjoyed low prices for land in deals with state governments that are run by politicians allied to PM Modi. A few weeks ago, Baba Ramdev proudly announced that their annual sales turnover had surpassed Rs 10,000 crores, towering over some of the multinational and publicly traded Indian companies. In the near future, the company may face strong competition, as other spiritual leaders have noted Patanjali’s success. Patanjali also has big ambitions, The Economist notes. Managing Director Acharya Balkrishna has considered expanding the company abroad. As reported by Business Standard, the unit at Madhya Pradesh will be dedicated for products to be exported to the US, the UK and Canada, besides neighbouring countries like China. However, The Economist states that in the near future, the company may face strong competition, as other spiritual leaders have noted Patanjali’s success. Sri Sri Ravishankar who has a massive following among the urban middle classes is branching out from Ayurveda into food and personal care. Also, self-proclaimed saint, Gurmeet Ram Rahim Singh is now in business, selling more than 400 products. Not just The Economist, but many reputed international media groups such as The Guardian, The Forbes, The New York Times and The Daily Mail have also taken note of the Patanjali phenomenon. It is clear that Patanjali is the success story of new India with its roots in the old. 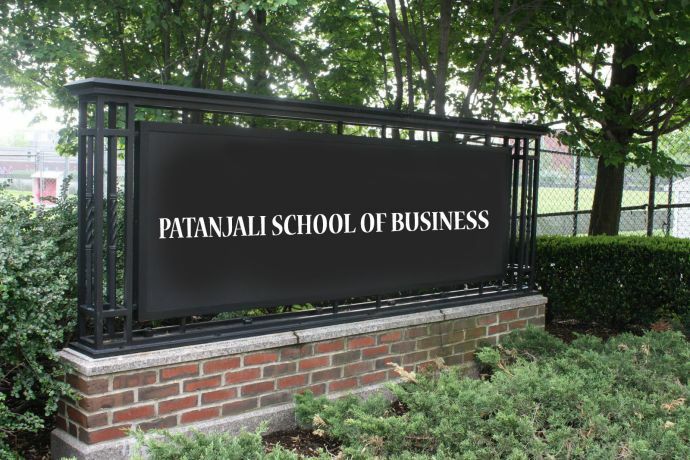 The time in not too far away when Harvard Business Review will take this up as a case study and who knows, India's finest management school will be christened Patanjali School of Business.